Ariel Pena had a relatively clean outing on Sunday afternoon. He pitched one and one third of an inning and allowed one hit and one walk while striking out two batters. 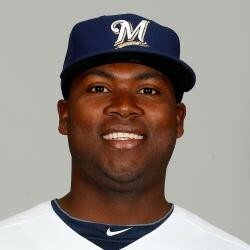 Pena made his Major League debut for the Brewers last season and started four games down the stretch. He has command and home run issues, but there is some strikeout potential. He'll probably begin the season in the minor leagues and replace an injured starter or bullpen arm if and when the time comes.